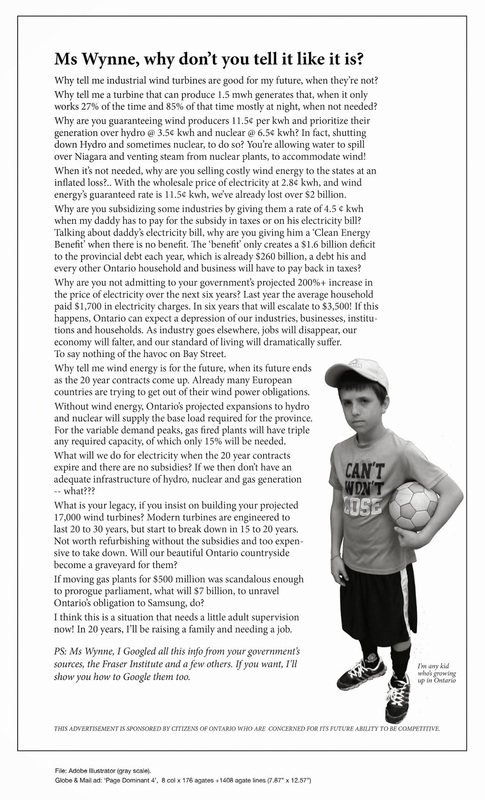 Wind Turbine Investigation Begins | Mothers Against Wind Turbines Inc.
Health Unit investigation based on perceived health effects of wind turbines. The first phase of a Huron County Health Unit investigation on the perceived adverse health effects of wind turbines is about to get under way. Leading the investigation is Health Unit epidemiologist Doctor Erica Clark. She tells Bayshore Broadcasting News that the first phase launching this month will be dedicated to information gathering. Doctor Clark says she will interview each participant personally, before any turbine-related information is received. The questions asked will include the number of turbines located near where the participant lives, and what kind of structures are on their property. Doctor Clark notes that each person taking part will then be given a personal code to use when answering questions in the on-line portion of the survey. For those without Internet access, the survey is available in hard copy form. She points out that further action in the second phase of the survey will depend on analysis of phase one questionnaires. Phase two will involve actual measurements of things like ambient noise coming from the turbines. Doctor Clarke says the Health Unit will share survey information with the provincial and federal governments. She stresses that the Health Unit initiative is not related to the Health Canada survey of health issues connected to wind turbines that was done in 2013 and 2014. Acoustical measure analysis is still being examined, and findings of the federal study have not been released yet.